This exciting new text illustrates and advances the argument that International Organizations (IOs) need to be taken seriously as actors in world affairs. Bringing together an international line-up of distinguished contributors, the text examines recent theories that suggest how IOs are able to set their own policies and implement them in meaningful ways. The chapters review these theoretical positions and then present a series of case studies which focus on how these theories play out when IOs are charged with solving global problems: including development, peacekeeping and environmental policy coordination. Examining and analysing both positive and negative examples of this independence, this text is a valuable resource on the topic of the internal workings of IOs, providing the richest and most focused textbook so far dealing with the capacity of IOs for independent action in international politics. 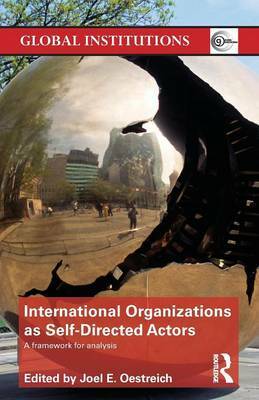 It is essential reading for all students of international organizations.